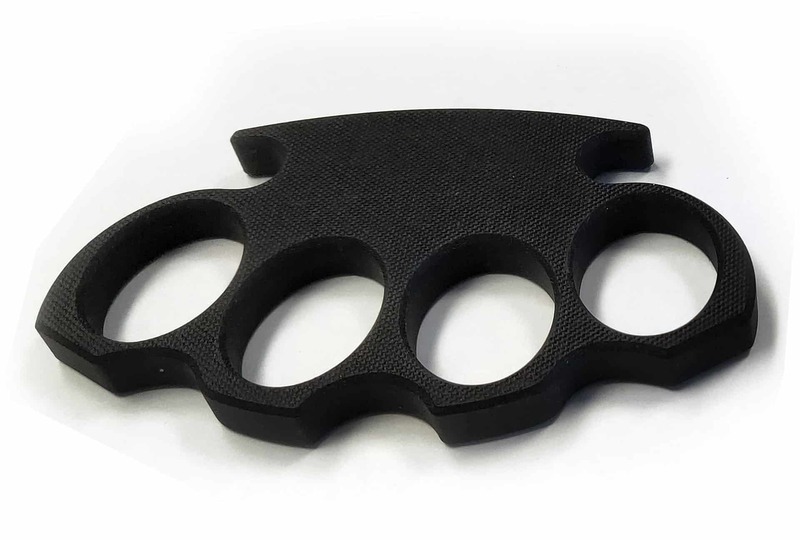 TACTICAL G10 KNUCKLEs – High quality milled G10 Black Knuckles. These were milled from one solid piece of high quality G10, resulting in a very high quality, non metal, solid pair of knuckles. Available in 3 colors – Black, Camo, or Drab Green. One Size Fits All style design, with finger holes big enough to accommodate almost anyone! We guarantee these are very high quality knuckles, and you will be extremely satisfied with them. Because these are made of G10 and not metal, they are legal to own and carry inside Canada.